This is a recipe that I've had for about 30 years. 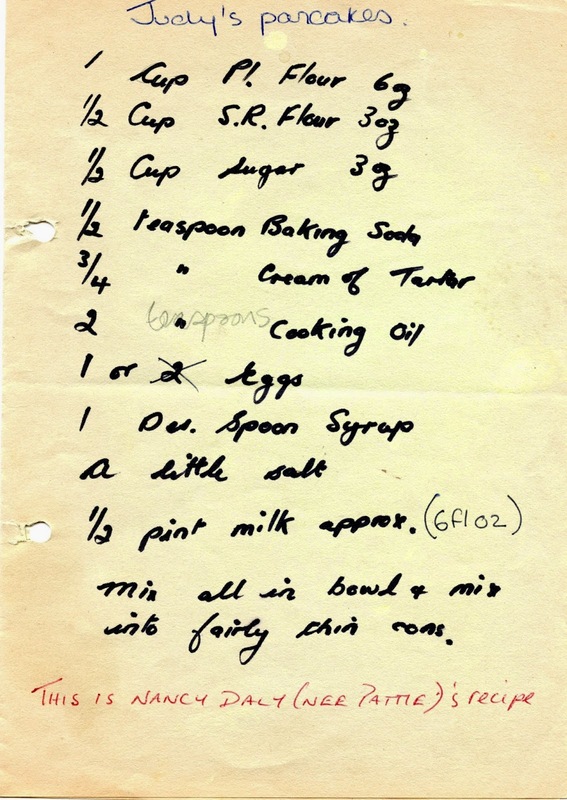 It has a little history as I got it from my neighbour who made such good Scotch Pancakes (drop scones) using this recipe that I asked her for the secret. It turned out that she actually got the recipe from a second cousin of my husband, who was a great baker. My Mum, who is also a great baker, tasted the pancakes made to the this recipe and was also very taken with them, so now makes hers to the same recipe. Shockingly, I have never shared this recipe on my blog so have no photographs! Hopefully, I'll be able to remedy this before the end of this month. Where am I heading with this? Well, for Recipe Clippings Linky Party this month, I'd like you to share your 'most used' or 'most shared' recipe. There are a number of different ways you can join in and cook up the recipes from your #RecipeClippings. You may post recipes you have clipped from magazines, newspapers or have written down from friends and family.Please credit the author of the recipe or ask permission. Please say where the recipe came from. Oh that sounds very good, must try it, but would like to see how you make them.